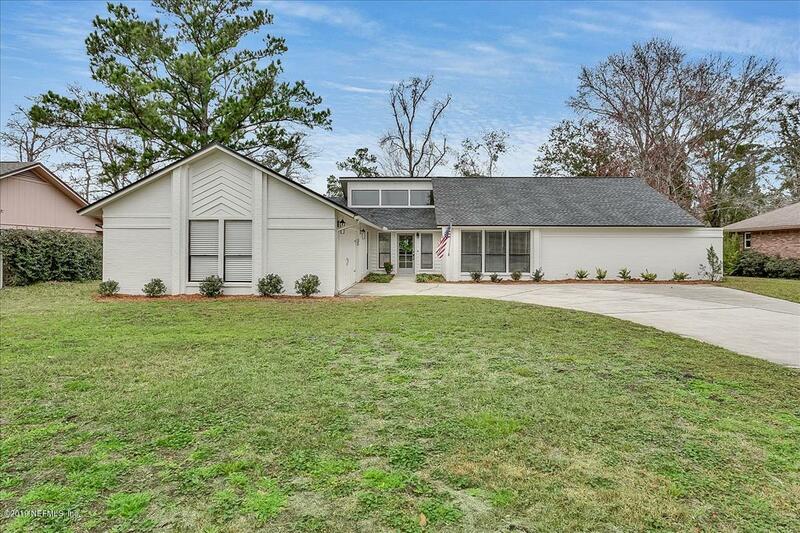 Open and airy cottage style all brick home with great outdoor area! Offering 3 bedrooms, 2 baths, a two car garage, separate dining room + flex space, there is plenty of room indoors and out! 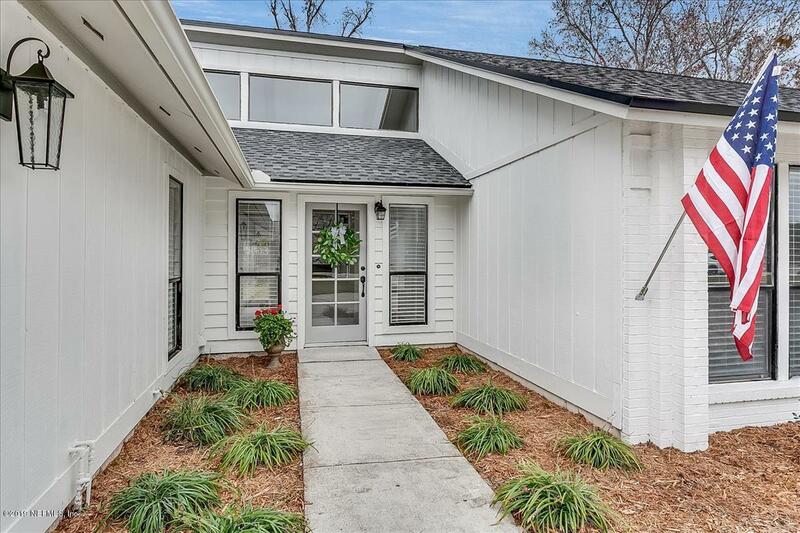 Soaring ceilings, lots of windows for great natural light, ample storage including several linen closets, coat closet, & walk-in closets in the bedrooms. Recent renovations include master bedroom, floors, light fixtures, faucets, bead board, shiplap, and fresh exterior & interior paint. The kitchen has been updated with new butcher block counter tops, gorgeous farmhouse sink, and subway tile back splash. 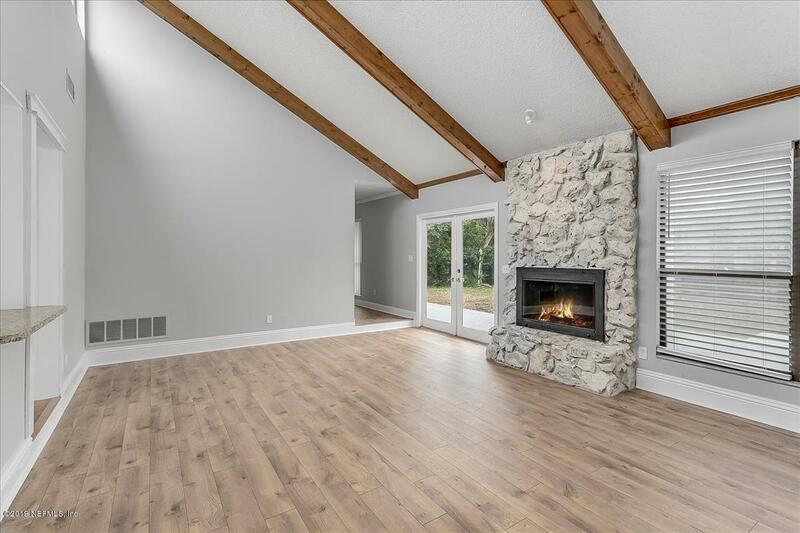 The living room features a wood burning fireplace, high ceilings with wood beams, & french doors that lead to the patio- great for entertaining! Other extras include a new roof in 2018, hotwater heater 5 years old, and one year home warranty provided. Secret Cove is a quiet community on a large spring fed lake with pool and tennis HOA membership optional. 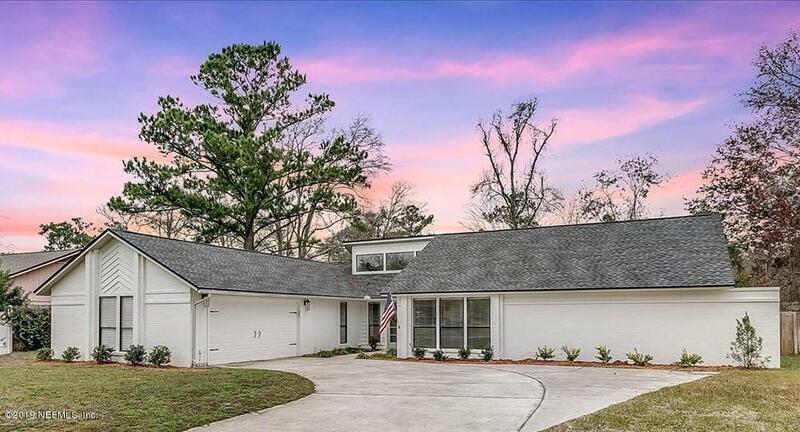 Convenient access to 95, 295, Butler, Town Center, navy base, and beaches!